JOIN the David Shepherd Cricket Trust now and you could save money on kit for the season ahead. One of the benefits of being a DSCT member is eligibility for a 15 per cent discount on Wombat-branded cricket gear. The Trust, which supports youth cricket in Devon for all ages and abilities with cash grants, has teamed-up with Tavistock-based Wombat Cricket to offer this new membership benefit. Members can already take part in a monthly draw throughout the season to win a pair of tickets to a home match at either Somerset CCC or Gloucestershire CCC. Now members can save 15 per cent on Wombat-branded items by producing their DSCT membership card in the company’s showroom. Discount is available on all Wombat-branded bats, pads, gloves, wicketkeeping gear and kit bags. Harry Solomon, one of the partners in Wombat Cricket, is a passionate cricketer who will be captaining Ivybridge in the Tolchards Devon League this season. Solomon said the chance to link-up with the David Shepherd Cricket Trust was simply too good to miss. “The David Shepherd Cricket Trust is a local charity supporting up-and-coming young players, which is something Wombat is keen to encourage,” said Solomon. 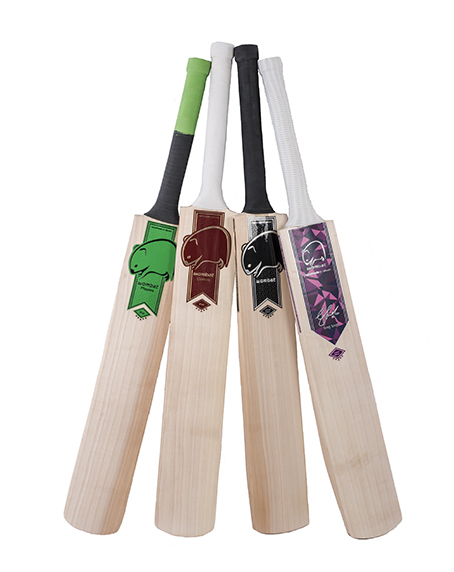 “Wombat already sponsors a number of young players as we want to see our bats in their hands. Solomon, who is 24, crafts all Wombats bats by hand in the workshop at Tavistock. Only English willow is used in the bat-manufacturing process and Solomon goes to great lengths to ensure the sustainability of the wood. “English willow is the one all the bat makers want, especially the Indian manufacturers who make thousands of bats,” said Solomon. “To ensure a future supply of willow we have recently planted around 400 tries all over the county, some in Cornwall, Devon and Somerset. Harry is pictured (left) after planting his first willow sapling. To become a member of the David Shepherd Cricket Trust visit their website www.dsct111.org.uk and go to the drop down joining and donating. Copyright © David Shepherd Cricket Trust. All Rights Reserved. Registered Charity Number 1136880. Website by Raid Host.